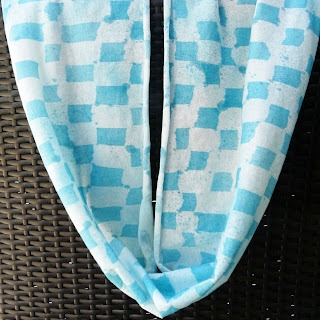 While I love to make things, I don't have the kind of space where I can make huge messes-- no cement floors in my home, my laundry room is the size of a postage stamp and the garage is the Hub's domain... 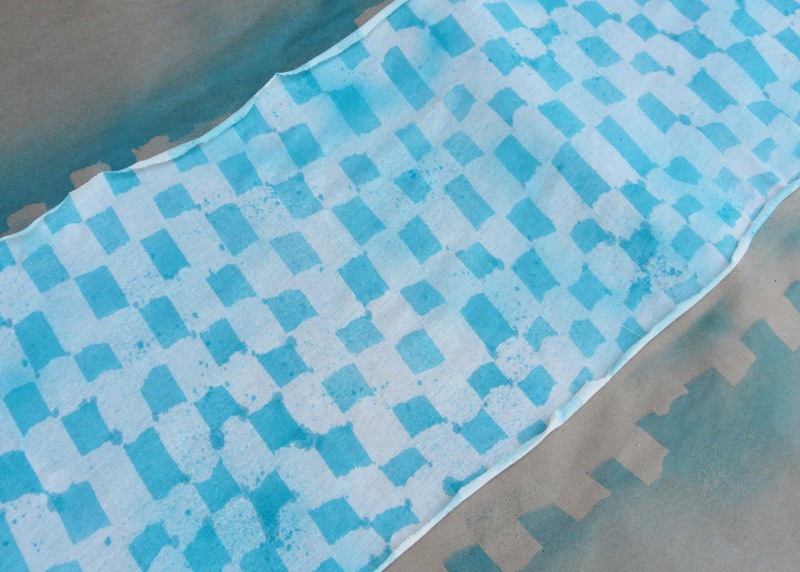 So a "batik" type project was out of question until I stumbled upon an easy & mess-free method. Lay the fabric on your paper. 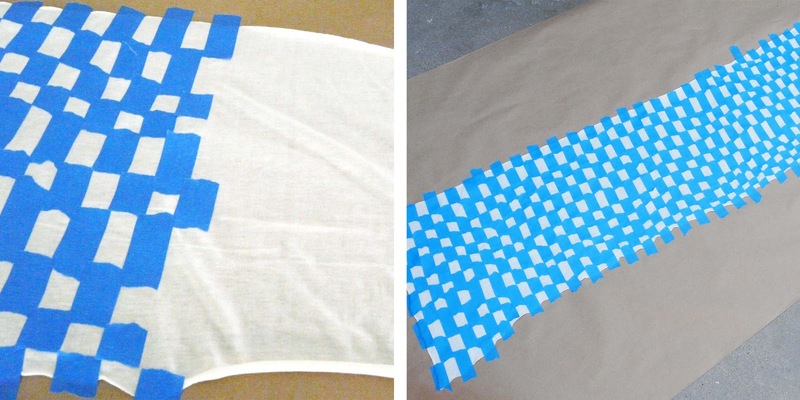 If you need to, tape down the edges. Create your design using painter's tape. You can also use stickers-- letters, numbers, hearts, circles-- all would look really neat. Just remember that this is not a "perfect" look with sharp lines. The ink will seep under the tape/stickers in some places and not in others, so the simpler the shape the better. 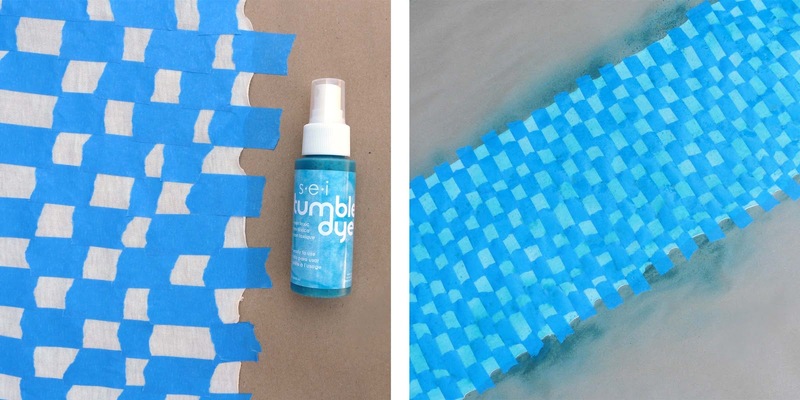 Spray your "designed" fabric with SEI's tumble dye fabric spray paint. Spray one light layer, then follow with another until you're happy with the color. Don't worry about the overspray or drips. 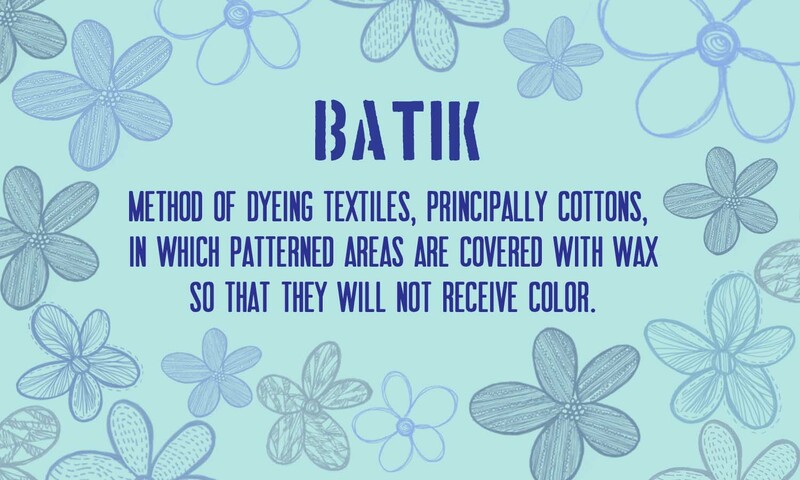 The best thing about batik is that it looks imperfectly perfect. 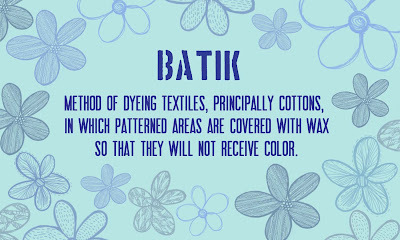 In the original batik process, the dye puddles in places and seeps beneath the wax resist. So this is not meant to be a "perfect" look. 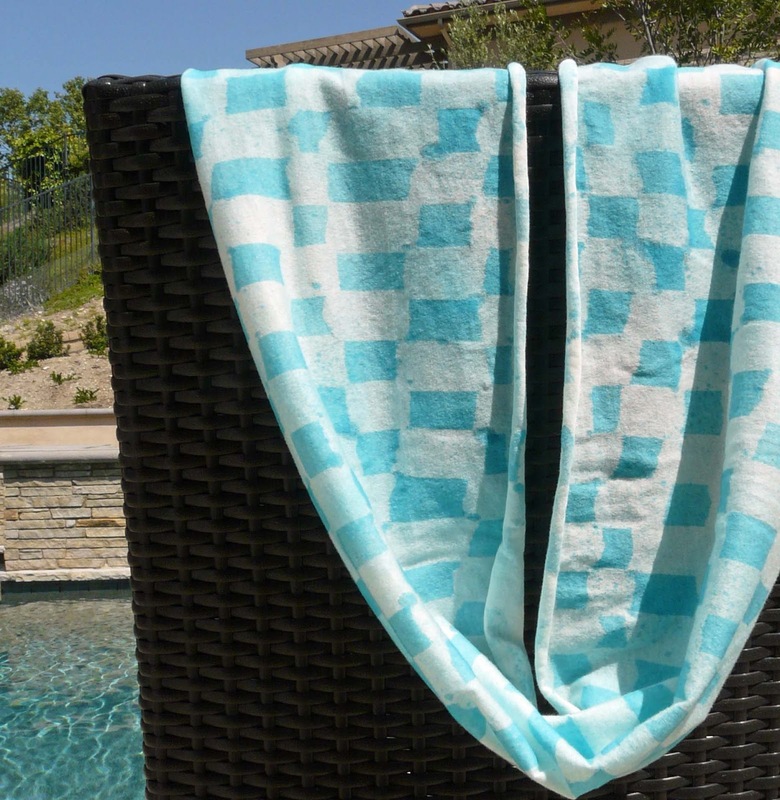 The beauty is in the imperfections and the one-of-a-kind design. Let the fabric dry to touch. Remove the tape/stickers. 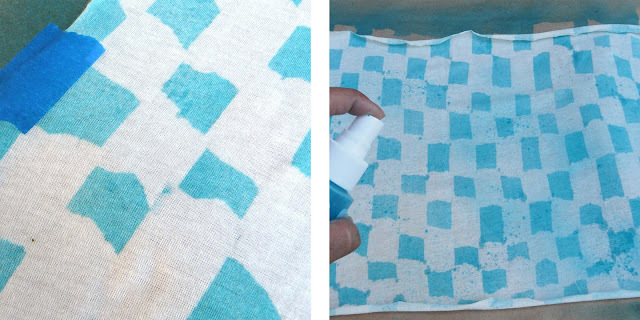 Lightly spray another layer of paint on the fabric. This softens the overall look without overpowering the original design. I purposely wanted some drips and overspray, so I held the bottle with the nozzle pointing straight down. 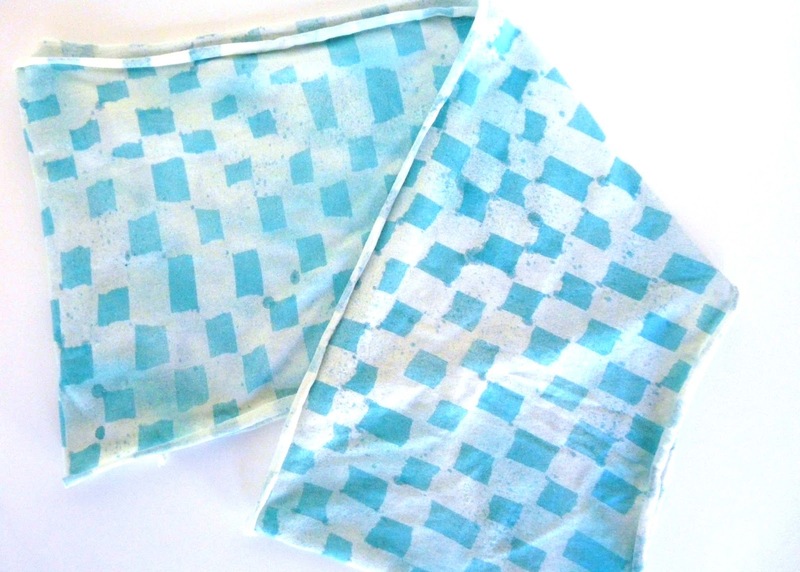 Let the fabric dry completely then throw it into the dryer on high heat for 20 minutes. 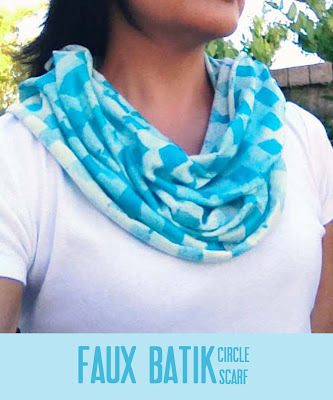 If you're making a circle scarf, sew the two ends of the fabric together. And that's it! Your own custom designed, batik-inspired scarf. What do you think? Do you like this type of imperfect look? I was going for a modern design, but I think it would also look really nice with a lace overlay. SEI provided some materials with which I created the project shown. The written content and opinions expressed are my own. Spring Break 2013 was EPIC!! !